USDA-NRCS PLANTS Database / Britton, N.L., and A. Brown. 1913. An illustrated flora of the northern United States, Canada and the British Possessions. 3 vols. Charles Scribner’s Sons, New York. Vol. 2:496. 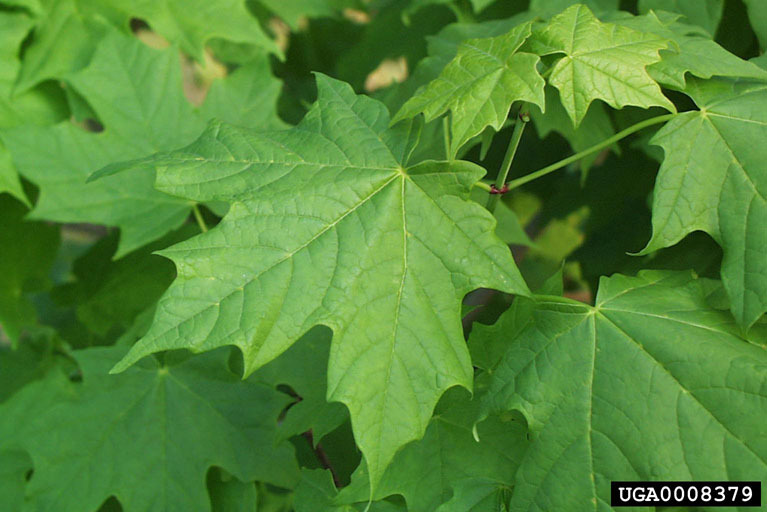 Sugar maple is a deciduous tree that can grow to a height of 50 to 130 feet. It is native to the US, and found throughout the eastern states. Sugar maple is the primary source for maple sugar and syrup. Trees are tapped for syrup in late winter/early spring throughout New England. Sugar maple is also a valuable hardwood for a variety of products from flooring to cabinets. Leaves: Maple trees have palmate leaves, which mean their leaves resemble the shape of a hand with five lobes that extend in a finger-like fashion from a central point, similar to palm of your hand. The two lobes at the base of the leaf are smaller than the other three. It’s easy to confuse red maple and sugar maple. To distinguish them, look at the leaves. The edges of red maple’s leaves are more toothed, while sugar maple’s leaves are smoother. Sugar maple leaves turn various shades of scarlet, orange and yellow in autumn. 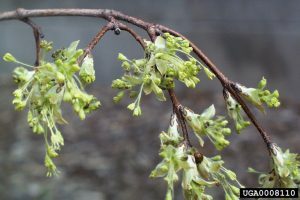 Flowers: Small, hanging clusters of greenish-yellow flowers appear in spring, emerging just before the leaves. 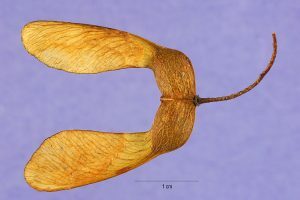 Fruit: The fruits of maple trees are double samaras (winged seeds), but you may know them as “spinners” or “helicopters,” due to their characteristic descent to the ground. Samaras of sugar maple trees are green in the spring, and turn yellowish green or light brown in autumn, when they fall to the ground just before leaf fall. Bark: Young sugar maples have smooth, light gray bark. Bark on older trees is often broken into scales. 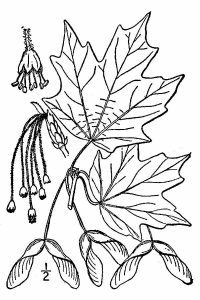 Tips on Observing Maples: The most challenging aspect of observing maple phenology is that leaves and flowers can be high up in the tree. Take field glasses (binoculars) out with you so you can see the flowers: sugar maple flowers are green, while red maple flowers are dark red, with yellow stamens. Pollen release is easy to see—look on the ground for yellow powder. 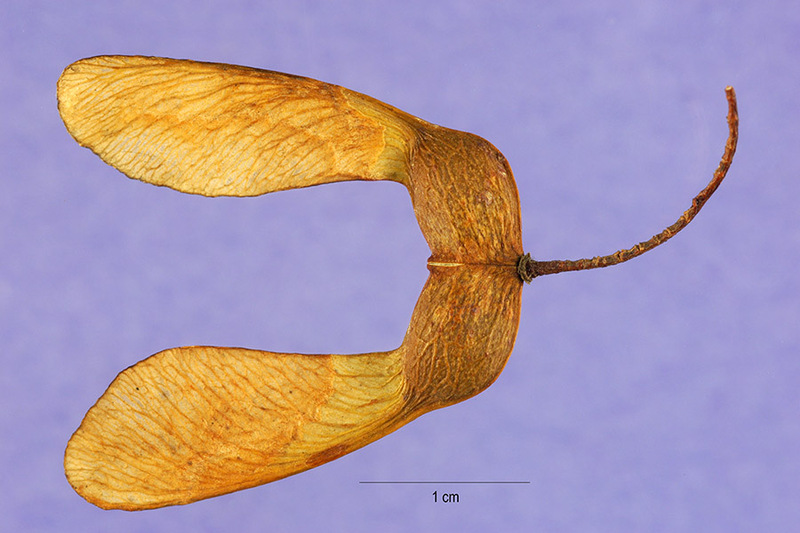 Some people may not think of maple “samaras” as fruits but they are the fruits of maple trees. To a botanist anything that contains seeds is a fruit, but to others those may be just “spinners.” Remember, those are the fruits! 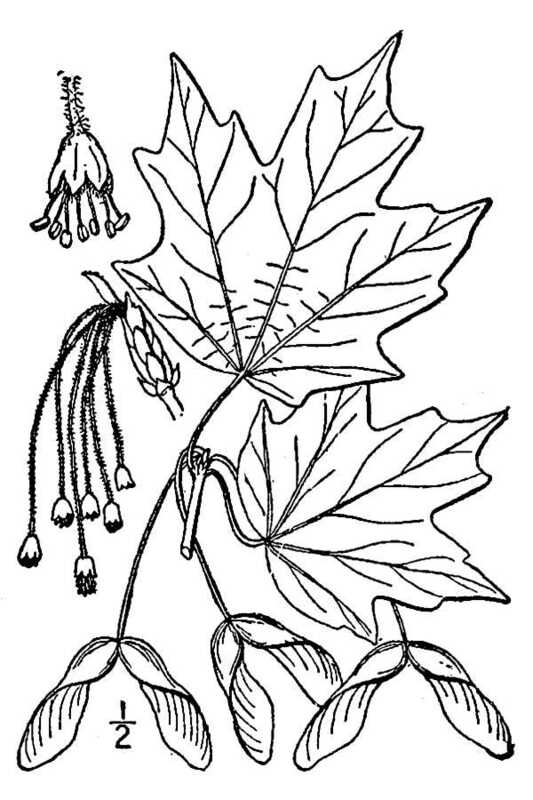 Distribution of sugar maple. USDA PLANTS Database. USDA, NRCS. 2012. 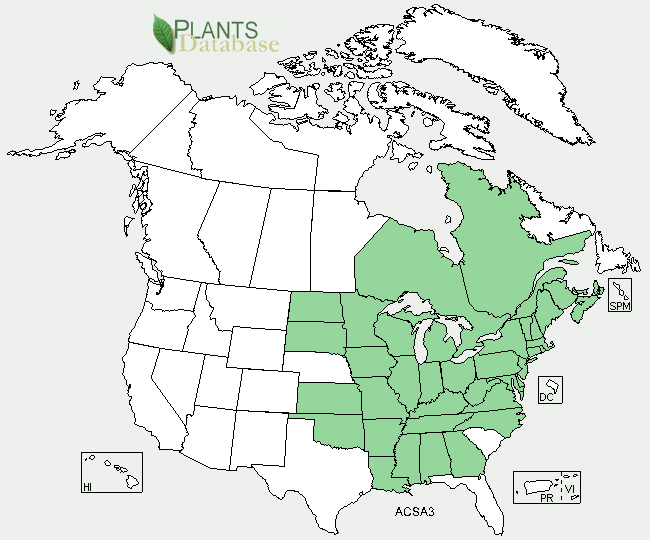 The PLANTS Database (http://plants.usda.gov, 20 May 2012). National Plant Data Team, Greensboro, NC 27401-­‐4901 USA.